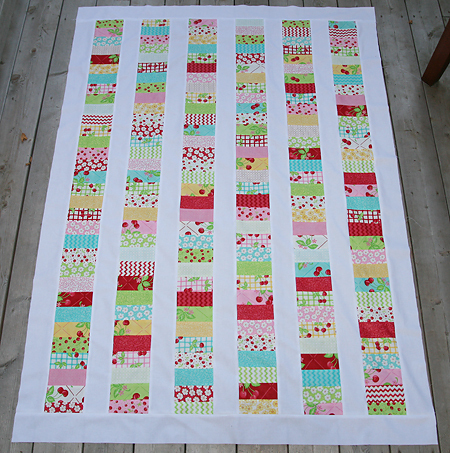 I just finished the top of the Oh Cherry Oh stacked coin quilt. I think it looks pretty good! I'm hoping to finish the back tonight and sandwich it up tomorrow. This is a gift for my mother in law and I have a firm weekend deadline! I think it's the perfect size for a picnic for two. Special Delivery from Down Under!